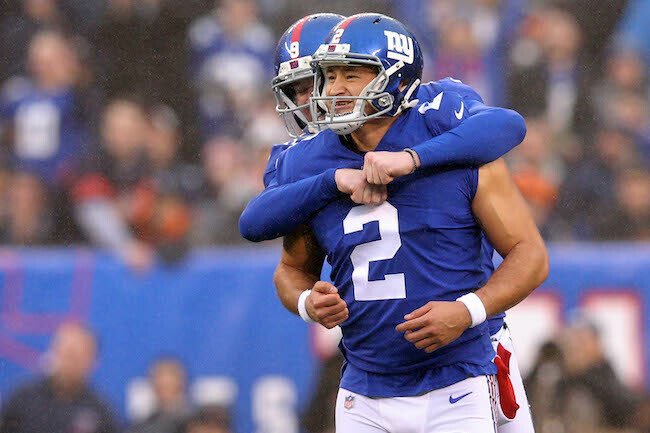 Three New York Giants were selected to the NFC Pro Bowl team, including running back Saquon Barkley, safety Landon Collins, and place kicker Aldrick Rosas. Collins and Rosas were selected as starters. It is the third time Collins has been selected to the Pro Bowl, but the second year in a row that he will miss the game due to a season-ending injury. Players are elected by voting from coaches, fellow players, and fans. The Pro Bowl will be played on January 27th in Orlando, Florida. The Giants also had three alternates selected: linebacker Olivier Vernon (first alternate), special teams player Michael Thomas (first alternate), and wide receiver Odell Beckham, Jr. (second alternate). They will get the opportunity to play if other players cannot or will not participate in the game. The New York Giants have placed cornerback Antonio Hamilton on Injured Reserve with a quad injury that he suffered in last Sunday’s game against the Tennessee Titans. To fill the roster vacancy, the Giants activated wide receiver Cody Latimer from Injured Reserve. The Giants claimed Hamilton off of waivers from the Oakland Raiders in September 2018. He played in 13 games for the Giants with no starts, accruing six tackles. Hamilton was originally signed as an undrafted rookie free agent by the Oakland Raiders after the 2016 NFL Draft. The Giants signed Latimer as an unrestricted free agent from the Denver Broncos in March 2018 and placed him on Injured Reserve with a hamstring injury in October 2018. He played in four games with one start, with six catches for 108 yards. Latimer was originally drafted in the 2nd round of the 2014 NFL Draft by the Broncos. In four seasons with the Broncos, Latimer played in 45 regular-season games with three starts. Not practicing on Wednesday were wide receiver Odell Beckham, Jr. (quad), wide receiver Russell Shepard (ankle), center Spencer Pulley (calf), linebacker Alec Ogletree (concussion), and safety Michael Thomas (excused absence). Defensive end Kerry Wynn (thumb) practiced on a limited basis. The Giants practice again on Thursday and Friday in preparation for Sunday’s game against the Indianapolis Colts.